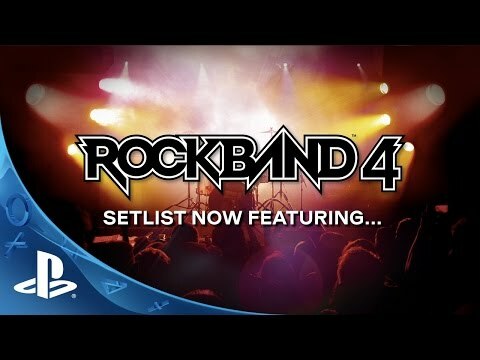 Rock Band™ 4 delivers the ecstatic rush of a live band performance like never before. The most recent offering from acclaimed music game developer, Harmonix Music Systems, Inc., Rock Band 4 allows you to add your personal touch to every performance through innovative features that reward player expression, whether you are playing by yourself or with your band. With Rock Band 4, players get access to the incredibly deep music library, featuring over 1500 great songs. Additionally, Rock Band 4 supports most songs you have purchased for previous Rock Band titles on PlayStation®. All this, combined with a cutting edge visual presentation and a soundtrack featuring some of rock’s biggest acts, makes Rock Band 4 the defining music gaming platform for this generation. Publisher: Harmonix Music Systems, Inc. / Mad Catz Interactive, Inc.
Rock Band’s award-winning gameplay takes the full band and solo single player experience to the next level, including innovative new features that allows players to express themselves in ways never before seen in the music category. • Freestyle Guitar Solos – Guitarists can bust out unique guitar solos of their own with the game’s new Freestyle Guitar Solos, no lessons or music expertise needed. Accessible and fun right out of the gate, Freestyle Guitar Solo gameplay features remarkable depth, allowing expert players to string together face-melting licks and truly original legendary solos. • Sing for the moment – Vocalists can sing it their way with advanced pitch recognition that rewards them for putting their own spin on their favorite songs. • Improved Drum Fills – Drummers never miss a beat with near latency-free Dynamic Drum Fills designed to sound better than ever before. • Work the crowd – New Stage Presence gameplay allows players to work the crowd into a frenzy by flaunting your charisma, working together with your band during your performances for in-game rewards, and by expressing your personal style through improvisational music gameplay. • Start a band. Rock the world – Rock Band 4 features an improved campaign/story experience, allowing up to four players to create and customize their in-game avatars, form a band, and build a legendary rock career. 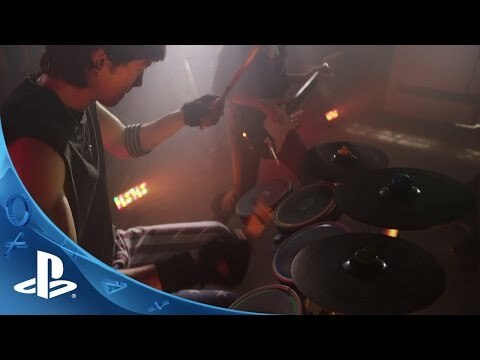 • Keep the party going – The Rock Band 4 social experience gets even better with the new “Shows” Mode, which allows for a fun, frictionless multiplayer experience. Players can drop in and drop out or change difficulty on the fly without interrupting gameplay. With Shows, bands can now build multi-song sets via a dynamic in-game selection process driven by you and your band-mates. • This is just the beginning… Rock Band 4 is a true music entertainment platform, and will evolve via new gameplay features, new music, and more via downloadable content long after release. Rock Band 4 software will work with all PlayStation®4 Rock Band music game controllers, most previous PlayStation® Rock Band and third party wireless music game controllers and microphones, as well as with your Rock Band DLC previously purchased for PlayStation®. ®2015 Harmonix Music Systems, Inc. All rights reserved. Harmonix, Rock Band and all related titles and logos are trademarks of Harmonix Music Systems, Inc. Rock Band 4 developed by Harmonix Music Systems, Inc. Mad Catz is a trademark of Mad Catz Interactive, Inc. and its affiliates and subsidiary companies. FENDER™, STRATOCASTER™, PRECISION BASS™, and the distinctive headstock and body designs displayed here are the trademarks of Fender Musical Instruments Corporation. All other marks are the property of their respective owners.